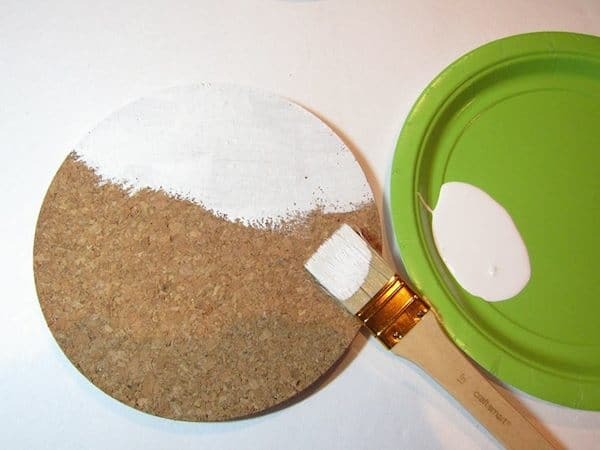 Use glitter and Mod Podge to turn IKEA trivets into DIY cork boards! Customize with the glitter and paint colors of your choice. Hi gang! It is Shannon from Rosyscription! I’m back again to share a simple organizational craft: DIY cork boards made from IKEA trivets. I used a little glitter and decoupage to upcycle this thrifted find. 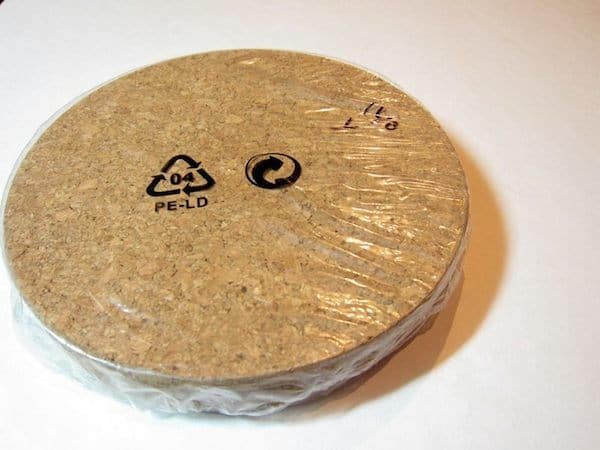 I recently found this pack of cork trivets at the thrift store for $1.40! The trivets were originally from IKEA and still in the plastic wrapper. When I saw them I knew that they would make cute little DIY memo boards. I used the three pieces to create a long memo board area in my home office. This would also be an easy back-to-school craft to update your child’s homework area, too. You could decorate these trivets in so many ways: paint, ribbon, fabric, etc. 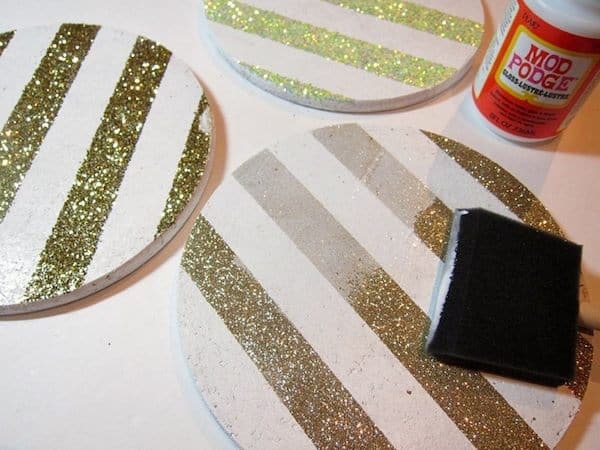 But I settled on glitter and stripes… they were easy to make using Mod Podge. Stripes are fun and simple to create. Plus, the glitter added a little gold sparkle to room! 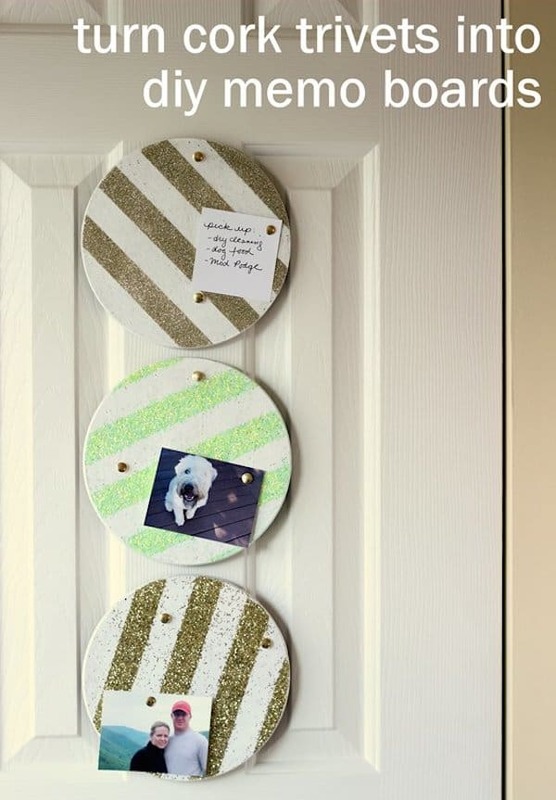 How to make glittered cork memo boards from kitchen trivets. Step One: Paint one side and the edges of each trivet with white paint. Allow that to dry and apply a second coat if needed for complete coverage. Step Two: After the paint dries, use masking tape to create wide stripes on each trivet. 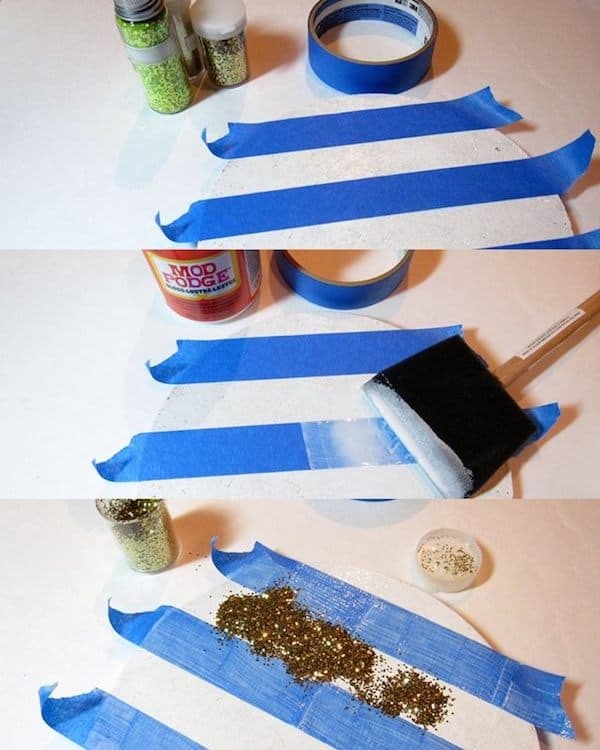 Brush a thick layer of Mod Podge over each open stripe area. Coat the glue liberally with glitter and shake off any excess (Over a big trashcan is highly recommended! Glitter gets everywhere, doesn’t it?). After the areas are covered with glitter, immediately rip off the tape, otherwise you’ll end up decoupaging the tape to your cork! 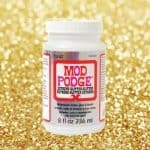 Allow the Mod Podge and glitter to dry. 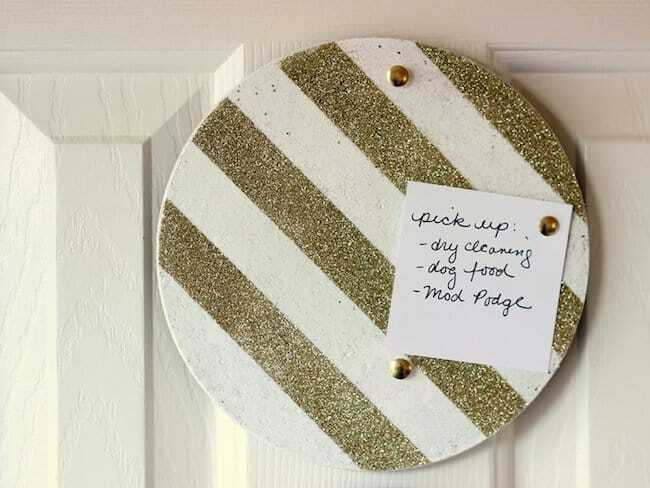 Step Three: Once your DIY cork boards are dry, apply several coats of Mod Podge on top of the sparkly stripes and cork to seal them. 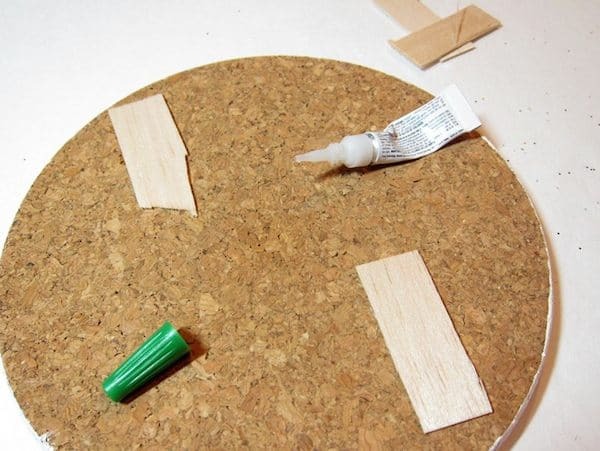 Allow the glue to dry in between each layer. I noticed that some of the loose glitter did shed a little into the white stripe areas as I did this. It did not bother me . . . I figured that the spots of glitter might camouflage any of the pin holes that will show up later on with use! 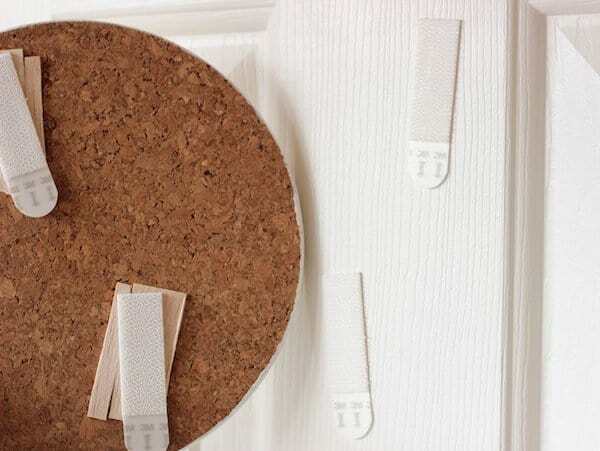 Step Four: The picture hanging strips will not securely stick to the cork (or freshly painted surfaces), so you need to put something on the back of the cork to attach the strips. 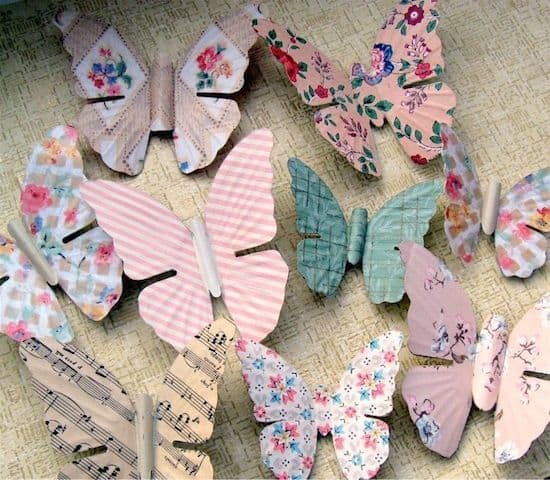 I used scrap pieces of thin balsa wood. But popsicle sticks could work here, too. I just glued down my wood using a strong, fast adhesive (i.e. super glue) where I planned to attach the strips. Allow the glue to dry. 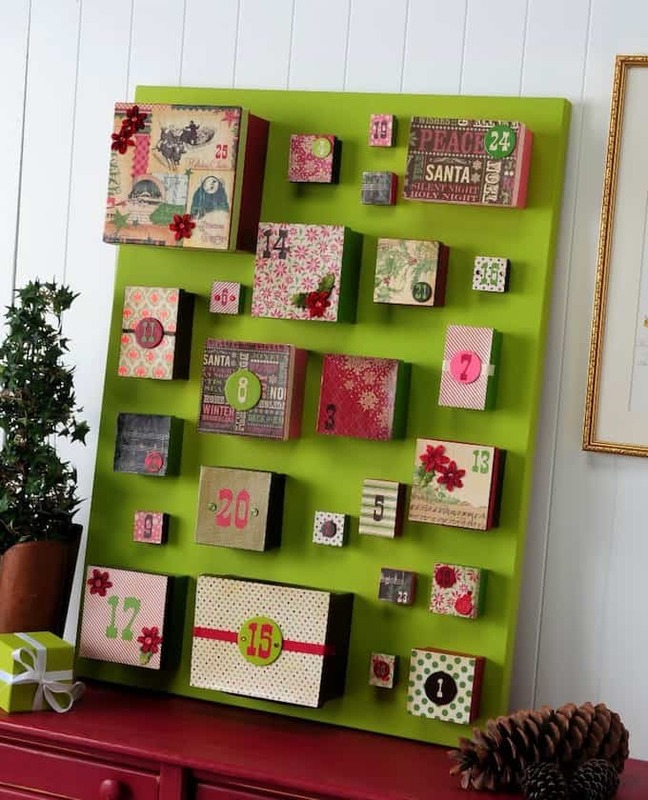 Step Five: To hang the boards, attach your picture hanging strips to the wall and the wood pieces on the back of each memo board, following the directions on the package. I used two sets of strips for each corkboard. Press each memo board against the wall or door until the strips latch with each other. NOTE: The easiest way for me to hang the trivets was to use picture hanging strips, but you certainly could glue ribbon or a hook to the back of each board, too. I decided to hang the cork boards in a vertical fashion on my closet door in the office. I love how this gives an often unused area of the room a purpose. Oh, and to add more golden shine, I just used simple brass thumbtacks to hold up my notes and pictures. I’m so glad I saw these cork trivets . . . decorating them was a simple way to update my home office. Who doesn’t love organization that is both functional and cute? For more DIY home decor items like this one, visit all of our related posts here. love it! I can already imagine half a wall covered in these! and all the color options! thanks a bunch for the idea! I love practical projects that are also fun. This is definitely both! So glittery and pretty. 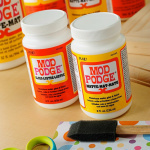 Is there anything Mod Podge CAN’T do, haha! I’d never have thought to use it this way, looks great. This is so awesome – I totally love it! Love how these turned out! I just picked up a couple of cork rectangles at a yard sale. I’ll have to try this! Thanks so much! 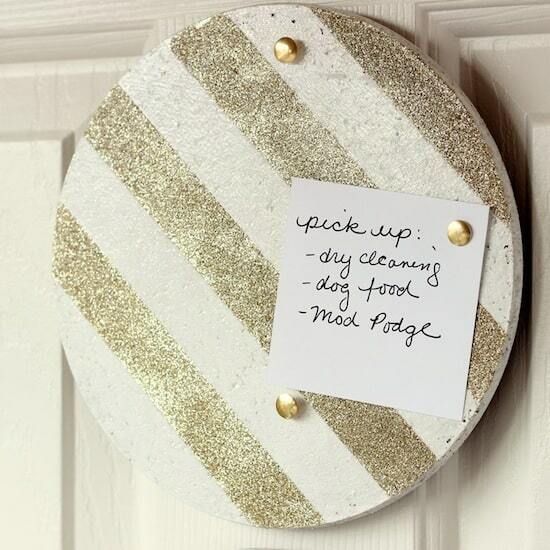 I love the glitter and I love that we have the same things on our “to-do” list! 🙂 Is mod podge the best way to seal off glitter? I remember they said some awesome way of doing it on Craft Wars and I think this may have been it but I can’t remember!